As one of the closest relegation battles in third tier history leaves half of League One sweating, Bradford City are somehow cut even further adrift of the carnage, with time running out to avoid the drop. The team has lot four in a row and are not just disliked but despised by large parts of City’s support base, who see an underachieving group of mercenaries. We’re on a fifth different manager in 14 months. We’ve a £2 million deficit. Crowds are falling. Season ticket sales don’t sound encouraging. Apathy is growing. And it could still get worse. Whilst surviving relegation remains mathematically possible, the form that’s required to clamber to safety looks beyond this dishevelled squad. Frankly, if they did turn it around over these final six games and stay up, you’d feel slightly cheated about why they’ve served up so much poor football for most of the season. But even if miracles do happen, the rebuilding in the summer is huge. 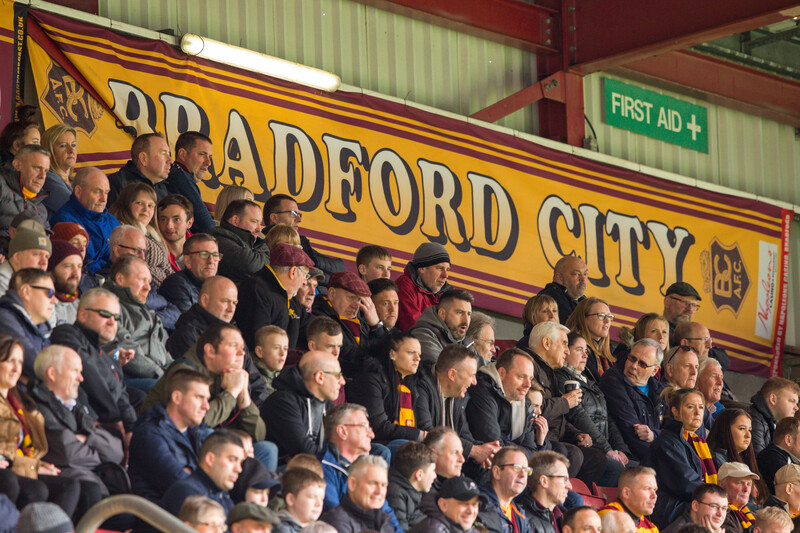 Even with the best efforts of Julian Rhodes, the stripping of Bradford City’s soul and DNA, by Edin Rahic, is a huge fix. Whilst the story of the Bantams’ rise between 2012 and 2017 will be fondly remembered for decades to come, those of us who endured the 12 years of epic misery before that will attest to how incredibly difficult it is to turn around Bradford City when they’re on the decline. Rhodes’ declaration he will remain at Valley Parade beyond this season is hugely important. He’s seen the worst of times, and he helped to achieve some of the greatest. That experience is absolutely vital right now. What he and Stefan Rupp need is the support of City fans, both in terms of season ticket renewals and in getting behind the club. That is understandably not an easy ask. Blind faith is certainly not in vogue amongst City fans right now. Reasons to be optimistic amount to straw clutching. And that’s why rebuilding the strong bond that existed between supporters and the club is absolutely paramount in the weeks, months and years ahead. So what do the club need to do to achieve that? As part of writing Who We Are, I took a deep dive into what our values as Bradford City supporters really are. In terms of what’s missing right now, essentially it boils down to the club needing to revive its core identity and to make us all feel more valued and engaged. There are several areas I think we need to look at. Not all changes would be costly to implement, and they’re not going to happen over night. But it’s about an aggregation of small changes that can ultimately take the club back to being the Bradford City we know and love. Even the smallest things really matter to many supporters. Here’s my manifesto of what I believe Bradford City need to do. Even now it offends my eyes. Every matchday, when the players walk out wearing that all claret shirt it brings an involuntary shudder. The 2018/19 Bradford City home kit is horrendous, and seems symbolic of the breakdown that occurred between supporters and Edin Rahic. Yes, it’s only a football kit. But a big part of Bradford City’s heritage is the claret and amber stripes. Unique in England, rare even around the world. We should proud of our identity, and it must be right at the heart of every Bradford City kit. We need to look like Bradford City, not whatever the hell this current shirt is meant to be. The 2019/20 kit has to claret and amber stripes. End of. There are some good players in this current Bradford City squad, but when the chips who can you rely on? Successful Bradford City teams of the past have been full of leaders. Players who will shoulder more than their personal responsibility on the pitch, driving on themselves and those around them. And even amongst less vocal, more introverted members of those past teams, they knew that if they didn’t do their job there would be a queue of team mates lining up to tell them. Bradford City has always been successful when they have players who can cope with adversity. There are times when the team are losing and the pressure from supporters rises, and that’s when you need to show your mettle. It remains a huge source of embarrassment to the current bunch that they’ve only gained one point from a losing position all season. It is this more than anything else that betrays their strength of character. You pine for the days of Gary Jones, Stephen Darby, Andrew Davies and Rory McArdle. You recall with admiration the way someone like James Hanson would shrug off his critics in the stands and continue to deliver. Think back further and you have Stuart McCall, Darren Moore, John Dreyer, Jamie Lawrence, Wayne Jacobs, Dean Windass, John Hendrie, Peter Jackson, Bobby Campbell. Most of these were not the greatest players in the world, but they had amazing levels of courage and grit. As fans, we want to see players running through brick walls for the club. Fighting to the end. Not accepting defeat. Embracing rather than fearing the challenge of playing at Valley Parade. It is these types of players we must find again. Gary Bowyer has been appointed permanent manager on a two-year deal. On the one hand his track record at Blackburn and Blackpool makes him the ideal person to take on the role. But I do worry that we’ve rushed into making a decision before we’ve stopped to really think about it. Rhodes has said that he wants to ensure City go into the summer ready to rebuild, rather than spend half of it waiting to appoint a manager. His experience of recruiting Stuart McCall in 2007, and of course last summer’s seven-week shambles that led to the under 18s coach Michael Collins at the helm, underline why it’s so important to have a plan in place. Take away the doubt, and get on with recruitment. So I can’t disagree with that logic, but is Gary Bowyer really impressing as manager? He had a good start against Peterborough, but since then results have arguably been even worse than under David Hopkin. Of course the dire league position is not his fault, but already team selections are questionable and he has held the team back from really going for it, even at Charlton on Saturday. We can assume Rhodes and Rupp have gained confidence that Bowyer is someone they can work well with; hence offering him the two-year deal less than a month after he was appointed until the end of the season. The worry I have is that if next season doesn’t start well, Bowyer will come under huge pressure. And the poor results we’re getting now will be tagged onto that. If things aren’t going as planned, we’ll look back at this time and wonder if we were too hasty to pin Bowyer down. I don’t see another option other than to have made the decision of appointing Bowyer, but the circumstances of now mean I’m equally not sure we’re in a position to make the best long-term decisions. And for that reason, you could feasibly see another change of manager in the not too distant future. That all said, Bowyer’s experience and know how offer us reasons to believe he can rebuild and take City forward next season. 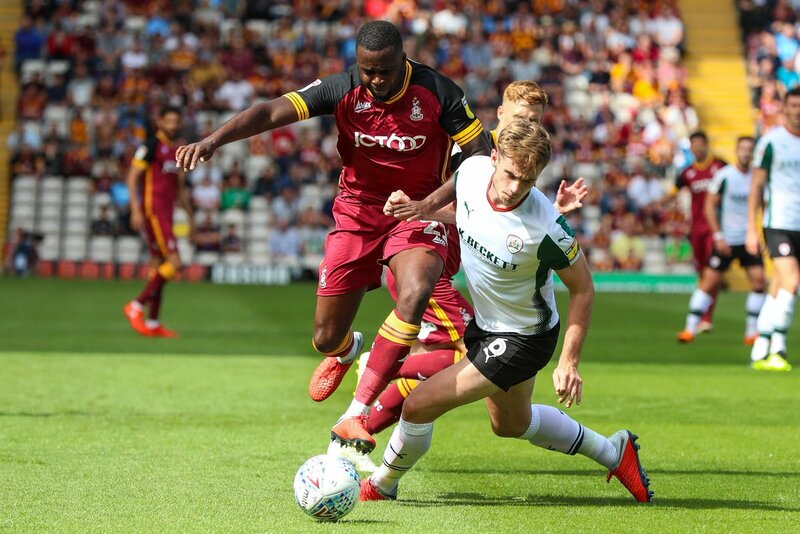 He has recognised one of the biggest issues at the end of David Hopkin’s tenure – the lack of a holding midfielder, meaning the Bantams weren’t winning the ball back high enough up the park – even if his solution, Jermaine Anderson, is questionable. Whilst Anderson has helped the positionally indisciplined Hope Akpan, the ex-Peterborough man has struggled. The lack of alternative options at Bowyer’s disposal underlines the lop-sided nature of the squad. Letting Jim O’Brien leave in January was a major mistake, given he wasn’t replaced. Bowyer will need time – something that rightly or wrongly Stuart McCall, Simon Grayson, Michael Collins and David Hopkin did not get. Rhodes, at least, recognises the value of sticking with a manager. Colin Todd is the only manager he has ever outright sacked (assuming the legend is true that Gordon Gibb was the driver behind the dismissal of Nicky Law). As the Phil Parkinson era showed, we need to find the right manager and stick with them through the lean times as well as good. Parkinson’s success was a result of us standing by him during difficult moments, knowing he had the know-how to find the answers. Parkinson had the vision to introduce the right values, and that underpinned all his success at Valley Parade. But it didn’t happen overnight. We had to be patient and let him build it. We need to have a manager in place who we can stick to when they’re having a difficult patch, otherwise we’ll keep changing at this ridiculous frequency. We need someone to rebuild the squad, but to also think about the wider culture. Give young players more of a chance too. Last week, the club announced the Supporters Board was back up and running. This is a monthly platform, where supporters groups are invited to meet with the club and discuss key matters. Some of it, in the past at least, requiring fans to sign non disclosure agreements, as the club were sharing sensitive information like the financials. The return of the Supporters Board is a start, but not the whole solution. People who run supporters groups are very commendable people, giving up untold hours of time. But they’re not the only City supporters, and communicating with only part of your audience will only limit your engagement. Without a public figurehead, the club will struggle to run a fans forum. But such open communication would be really helpful right now. A forum should be held before the start of next season, if not sooner. You could stream it on the club’s social media accounts. Or invite one of the two local radio stations to broadcast it. All fans deserve the right to know exactly what is happening at the club, and have the opportunity to ask questions. It shouldn’t be just a few people. And on the club’s part, they need to look at fan engagement as the chance to sell a vision to supporters, one that will encourage season ticket sales. In these difficult times, you can’t communicate enough. Be humble. Acknowledge the past mistakes. Admit that you need the help of every single supporter. Make us believe in the future. At half time of the Blackpool game my five-year-old daughter wanted to get a hot dog or a sausage roll to eat. We walked around the Kop concourse to discover that this was not possible. The kiosks had all but run out of hot food, and a couple weren’t even open. I know these operations are franchised out, but this still reflects badly on Bradford City. Earlier this season I went to Accrington Stanley who, like a few other progressive clubs, actively encourage fans to arrive to games early and stay back after the match. Stanley offer up a fanzone that, on the day City were in town, included local bands performing. Other clubs do lots of things for kids. Bradford City can do so much more. Any decent pub is a 10-15 minute walk from Valley Parade, so there is no real competition if they could encourage fans to turn up early by having events and/or a place to eat or drink. Personally I’d force all the directors to park somewhere else, and use the car park behind the main stand as a place for fans to meet up before the match. Get club legends to meet fans. Invite food vans. Source some picnic tables. Book a DJ. How good would it be to have a curry at the ground before the game? Eat, drink and be merry, whilst earning the club more money. 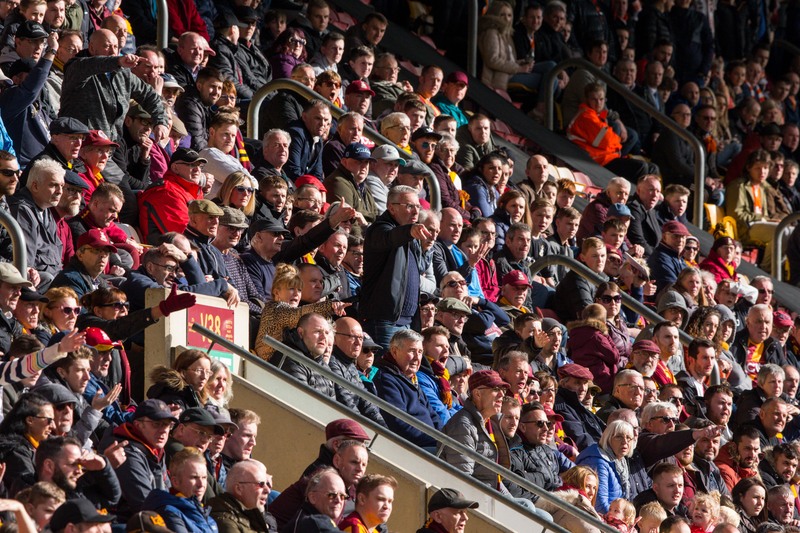 These aren’t easy things to set up, but they can make supporters feel more engaged, and that a trip to Valley Parade becomes more than just what happens between 3-5pm. Whatever the financial realities that dictate ambition, the matchday experience at Valley Parade is getting worse. It needs addressing. Last month, Valley Parade was host to the Bradford sports awards. A well-regarded annual community event, where the Bradford sporting community comes together to celebrate success and recognise unsung heroes. On the night there was a large delegation of Bradford Park Avenue officials present, the same with the Bradford Bulls. Yet from City there was no one officially attending, save for club ambassador Glenn Ackroyd. Billy Clarke was there too, but as a guest of a friend. Literally on their own doorstep, City did very little to engage with their local sporting community. On the same weekend, the Bradford Bulls enjoyed a handsome win, and the club’s official Twitter account chose not only to celebrate their result, but highlight the other Bradford sporting clubs who had enjoyed success that weekend, including the Bantams. It was a clever way of not talking about the Bulls in isolation, but as a major and valued part of Bradford. Reaching out to promote more than just the Bulls, but Bradford sport. Bradford is a sport-loving city and district, even if not everyone is a football fan and/or supporter of Bradford City. It is obvious, but City need to be out there at the grassroots level, promoting the Bradford City name and building relationships. The season ticket initiative remains hugely laudable, but we still need to keep attracting new people. Plus, increasingly sadly, lapsed fans. The Bradford City football in the community team are fantastic and do some brilliant things, and the club need to build on that. Bradford City is a big club, but it is not a huge club. As a fan, part of the appeal is the feeling that every one counts and is valued, rather than the club operating like a faceless corporation that treats fans like customers. 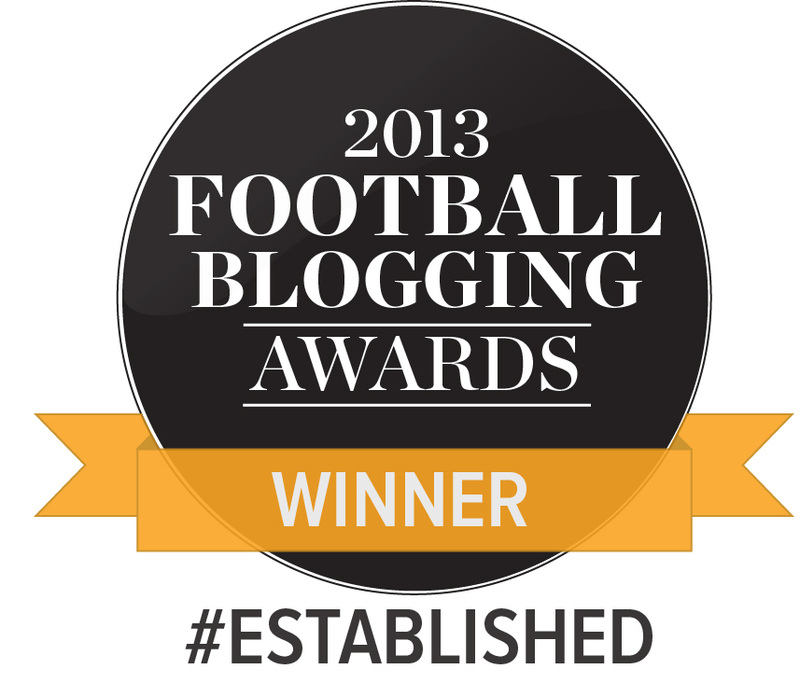 And so the Bradford City community feel is an absolutely vital part of the fabric of the club. The city of Bradford would really benefit from its sporting clubs – professional, semi-pro and amateur – coming closer together. Uniting under the boar’s head that gives us a unique identity, to boost civic pride – much in the same way as Manchester has rediscovered its bee. 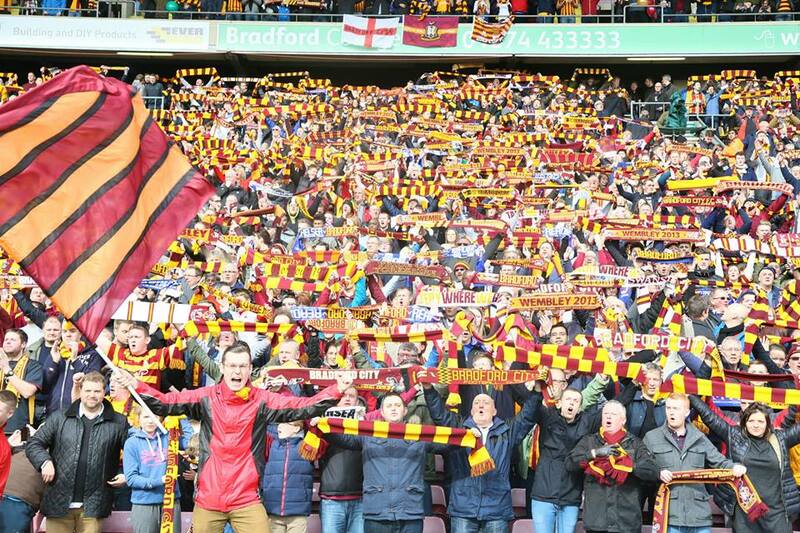 Bradford City can be at the forefront of a Bradford sporting movement. 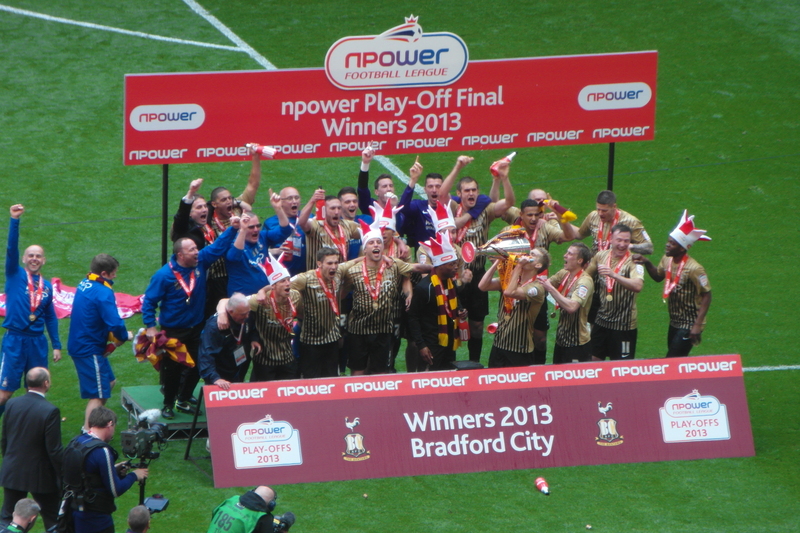 Bradford City is a wonderful football club. It means the world to so many people. The legacy of Edin Rahic is that people feel hurt that something they love so much could be so badly damaged. The recklessness of one man stripped the club of its values. There are some very good staff working behind the scenes still. But so many good people – playing and non-playing – have been allowed to leave over the two-and-a-half years Rahic ran the club into the ground. Of all the criticisms that can be aired at the players, the fact they don’t seem to appreciate or care about playing for this club is what hurts us the most. It’s just a job to many of them. One they’d be happy to do elsewhere. They don’t seem to get what this club means to us. Whatever league we’re in next season, and whoever is wearing the shirt, come August we want to see a group of players who are proud to play for Bradford City. They don’t need to have an in-depth knowledge of our history, but they do need to know more about Who We Are. An appreciation that it is a privilege to be a Bradford City player, and that it comes with the responsibility to give absolutely everything you have for the club. It’s simple really. Run through brick walls in the name of Bradford City, and we supporters will love you. 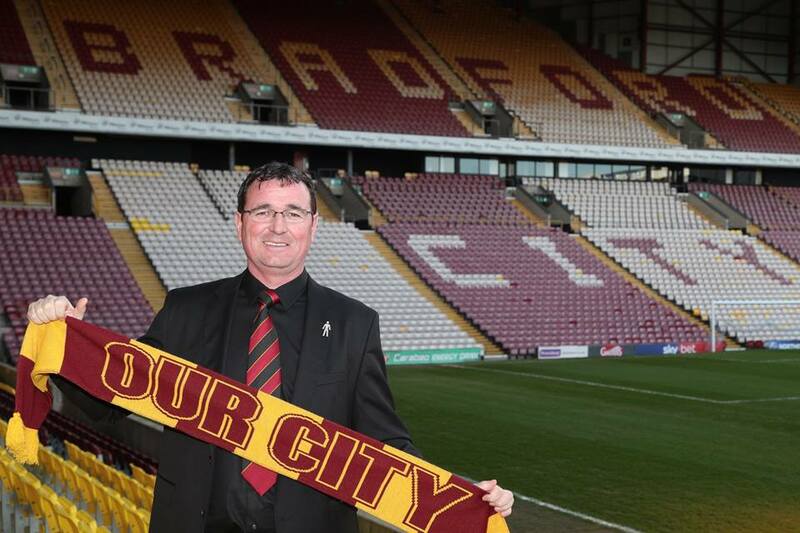 And if the club can create the right environment through Gary Bowyer, whilst engaging better with supporters, there is every chance of rebuilding Bradford City again. Once again Jason, your thoughts on the state of our club and where it needs to go, are almost identical to mine. You expressed doubts about GB’s appointment but then go on to argue the case in favour of why we needed to get him on board. I’d agree that he has an extremely poor group of players to work with and no matter what formation or group of players he selects as his starting XI, the result is always going to be the same. That’s why he needs a fair crack of the whip to see what he can do next season. Any manager we appoint (short of a novice) is going to carry some baggage from their previous clubs and fans will point out their successes as well as their shortcomings. GB is exactly like any other experienced manager in that regard. I don’t think we can truly move forward until we rid ourselves of this cancerous set of players who have the stench of Edin Rahic all over them. Until we can shift as many as we can in the summer, then we must accept relegation as no doubt we’ll be subjected to six more abject performances from them between now and May. Great article Jason and I completely agree. Talking to friends back in Blighty this week many are underwhelmed by Bowyer’s appointment – especially on a two year deal and they feel it smacks of desperation and that Bowyer was out of a job before he joined City. However, they are all behind him and only time will tell. We’ve had many ‘lessons learned’ etc. from the Club and the transfers in and out during the summer will give the true intent of how the Rupp views our Club going forward. Another transfer window/summer debacle like the recent ones and the goodwill and all-togetherness with the Club will be lost. I just hope it’s not too late, as once fans are lost and totally disconnected from the team and the Club it will take an awful lot to bring them back, if at all. I’ll be back for the last 4 matches – I just hope we still have something to play for and however unlikely, are able to pull a rabbit out of the hat. We the fans will play our part in the run-in, even when it’s over, but it’s over to you Rupp et al to make the summer count so that we can compete next season. Very measured and excellent piece Jason. Although it took Rahic very little time to wreck our club, it will require our patience in the rebuilding process. Your sage reference to the years preceding the ‘History Makers’ is where we currently are and the next season and recruitment windows essential to moving forward. Failure to remove and replace this appalling squad would see us bomb out of the league altogether. GB’s understanding that you need big powerful teams with both height and fight is strangely simple and calming. You get physically beaten up every week if you lack this facets and pace. We know that both via common sense and the inability of a team of losers and failure specialists who are getting clobbered every week. Cowards that run away, not unlike Rahic, their recruiter in chief. I have faith in GB to recruit well. Season ticket sales could be the barrier to this. Onward and downward, then upward. 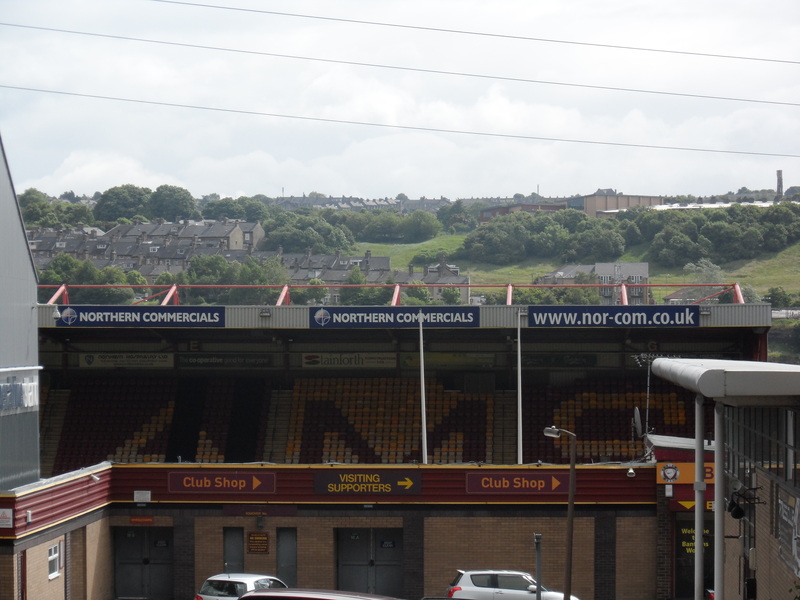 Season tickets will suffer even more, now that Bradford council have passed the motion of no parking around Valley Parade, including Midland Road on match days, add to that the changes to Valley Road, where are people supposed to park? I understand the club didn’t even attend the council meeting!! Chris Slaven see my post below and please try bring some sense to the idiocy in policy by changing it quick.Folk are dying because ambulances cannot reach BRI.On the doorstep of the duly elected hopeless MP”s address Naz Shah.An MP who pays aides best part of £200000 in her expenses claims but cannot even reply to Emails.Absolutely useless at solving anything.When its not politically correct.Too many Palestinian Flags flying (the new mandate of the “Labour Party” with hate the Jew thrown in)not enough dedication to the cause of her constituents.A City collapsing under a pall of diesal fumes and gridlock.I doubt (its so bad) you are capable of solving anything to be fair.5th largest City population wise with a road infrastructure third world.Development of business and houses all in this Leeds City Region “Aire Valley” without the necessary road infrastructure done first.Consequential meltdown.Cars backed up almost to the LBA or Horsforth Station.A journey that 20 years ago took 20 minutes to Bradford now taking an hour and a half.Complete lunacy.A bit like our National Government.No doubt you will keep pandering to the “complainers”.Who are the biggest cause of over overcrowding on our inner City highways with little respect for other road users.Of course Labour needs their vote.So nothing ever happens.Does it. Point 5 is very pertinent and is linked to point 6. In my opinion the matchday experience is hampered by a number of things. The attitudes of the Council and some local residents makes many fans feel unwelcome in the area round the ground. 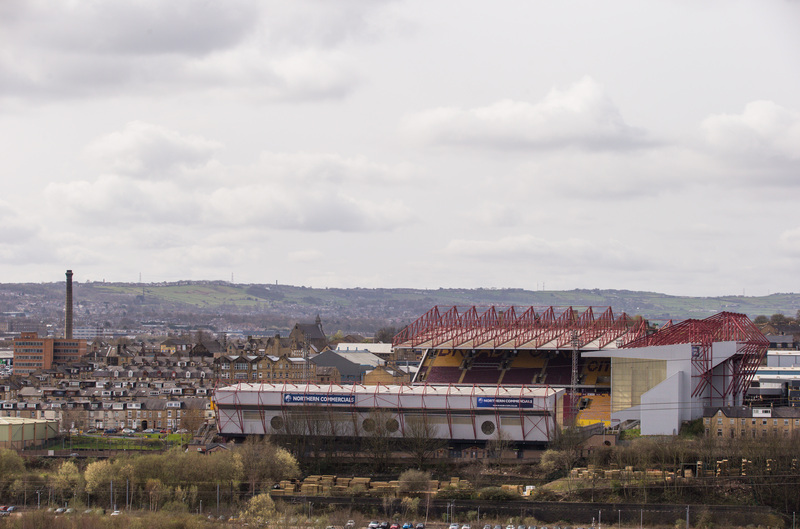 I don’t think its widely known but some local community groups even objected to the planning application to rebuild Valley Parade after the fire saying they didn’t want a the football club to remain there. That stings to be honest but being equally honest, would you want thousands of people swarming round the street where you live 23-27 times a year?. The Council voting to restrict parking on matchdays even further whilst turning a blind eye to week long year round parking violations at other establishments (and failing to do anything about cars being driven dangerously by locals through departing fans on Midland Road is the latest damning evidence that we are not welcome. The ground is not well served by public transport, is too far out of town, and the topography and constraints caused by the proximity of existing houses has resulted in a lop sided stadium where one end has a severely outdated and inadequate stand that is not up to modern standards and can’t serve alcohol, resulting in it being empty when all but the biggest clubs visit. The whole ground is now showing its age and stadium design has moved on significantly since most of it was built. We don’t own the ground, and (a lot of) the neighbours don’t like us. There aren’t any decent pubs nearby, or other places to meet. In my opinion the time has come to look to move. My emotional attachment to the stadium and the matchday routine is slowly being eroded. I’ve been attending games since the late 70s but its just not the same anymore. A forward thinking Council (ha!) would surely look to find a site in the centre of the city which could be shared by either its two football clubs or its pro football and rugby league clubs. Somewhere like the site opposite McDonalds on Valley Road would be ideal. Its level, and stadium sized. Close to two rail stations, all the shops and facilities in the city centre, and has no residential dwellings nearby. A flagship ‘City of Bradford Stadium’ could build on the stalling regeneration of the city begun by the completion of the Broadway centre and the revitalisation of the citys pubs and bars by the entrenpeneurs on North Parade and Sunbridge Wells. You’ll never get Bulls fans loving VP or City fans loving Odsal. Put both in a modern purpose built 25000 seater stadium in the City centre, with a fan park outside it. Thats how you improve the matchday experience. I think its time to look forward and not back. A seductive argument Leon – but one which requires a forward thinking, competent and supportive council, something Bradford simply doesn’t have. VP is not perfect but it’s home. I alluded to that in my post, I don’t think we have the right ingredients, at the moment, but I firmly believe it’s something we as fans and stakeholders should consider. I don’t believe that “it’s home” is a compelling reason to overlook all the benefits which moving might bring. We live in many different homes in our lifetimes. I think we are guilty of fetishising our football stadia to a great extent, and it’s not always healthy. I’m not saying it’s possible, but I believe that the only way this club is likely to improve sustainably is by thinking radically and breaking withvthe past. The ‘matchday experience’ at VP appeared absolutely fine around the 2017/18 season when we were/had been winning games -going by the number of season ticket holders, and the averaging of just under 20k attendance. If we had everything you have suggested Leon but the performances, such as those over the last season and a bit, had have stayed the same then I don’t see how the booing, anger towards the players and the dropping off of attendances would have been any different. A winning Team, with a noisy stadium, is enough to keep many of us satisfied. After all, that in itself has been a very rare experience over the decades that I have been supporting Bradford City at grounds such as VP, Odsal, Leeds Rd, Huddersfield and Elland Rd. My wife and I have taken friends from Cumbria down to VP to watch games and they absolutely loved the experience and atmosphere, both in and around the ground -pubs, curry houses, the noisy atmosphere at a ‘proper football’ ground where you can almost touch the players. It is my opinion that winning games at VP in front of a very noisy, enthusiastic and large attendance is how you improve the matchday experience for the vast majority of both fleeting and long-term supporters. Very little to disagree on Jason. Real claret , real Amber stripes and plain black socks and shorts and you look like a Bradford City player. Changing the whole squad looks likely to be a difficult task given the length of the contracts some players have on money they would struggle to get elsewhere so paying them off is gonna be a very expensive exercise. It will be interesting to see how fit Reeves becomes once he’s paid off and gets a club in the south. It looks like Rupp is going to have to take another big hit next season to get us back where we need to be. But the team is gonna need support even more than ever . Forget whats gone on ( difficult I know ) but get your season tickets and support YOUR team. Brilliant article, well written and progressive. I echo the sentiments within it. I let my season ticket lapse this year after feeling disenfranchised by the owners. Whilst I understand why people rejoice at Julian Rhodes coming back, I can’t forget he sold the club along with Mark Lawn to Rupp and Rahic in the first place. To get my fill of football I bought a season ticket at Park Avenue this season and have absolutely loved it, I doubt I will back Rupp with my money again next season, having seen a handful of City games this year, I am comfortable with my decision not to support foreign absent owners who do not have the club, the city, the fans and community at the heart of what they do. Everything this year has vindicated my decision. Blackpool fans led the way, only by staying away, withdrawing the money will the club change for the better. Good and well written article. My comments relate to points 4. and 5. I’ve had season tickets for over 30 years, but receive no email or personalised content from the club, there appears to be a GDPR compliance issue but no email re renewing. Last year as part of my 25 year ST renewal I opted for a Membership pack which included a range of benefits including ground tour and free meal for one, again I have not yet used these but would expect any Membership database to know this and be prompting. The match day experience is pretty well none existent. Sorry to gripe but my biggest issue is the shockingly amateur communications from the club’s website and social media channels, the communications seem to be written by 14 year olds without a spell check. The Stephen Darby night showed what can be done with knowledge, expertise and a sense of the club’s identity. Having a season ticket campaign with the same cardboard cut out at companies I’ve never heard of and a bizarre competition to see who can beat the commercial manager’s 4 generations of season tickets to receive free season tickets will exclude a high proportion of those yet to renew. Finally it seems a reasonable proportion of supporters now live outside Bradford, again easy to identify from the Membership database and effort should be made to make them feel engaged. Sorry for sounding critical, just feel that a lot could be improved with minimal cost. Excellent article as always Jason. Like John, I am a 25 season ticket holder and gained the membership benefits but I’ve only used one of them. I’m afraid to admit that it has occasionally become a bit of a chore to attend games at Valley Parade this season. It’s not completely due to our poor season of results. Indeed, I remember the relegation seasons including 1989/90, 2000/2001 and 2003/04 and I wasn’t as disillusioned as how I feel now. I have very little feeling or connection with our squad of players. A handful of people who will be reading my comments will be aware that I have attended a few Ossett United games this season and I have enjoyed attending these games more than Bradford City games this season. I appreciate that there is a more intimate feeling at a non-league ground. However, the Ossett United CEO says hello to me, when he sees me at games. Also, the atmosphere at Ingfield is very friendly, both in the club house and on the terraces. It’s fair to say that Ossett United have become my adopted non-league team. Despite this, I will be renewing my Bradford City season ticket for next season and I hope that I can rekindle my connection with the Bradford City squad and management team over the coming weeks, months and years. Feel a lot the same Richard, Farsley Celtic are virtually within walking distance of where we live and three seasons (ie a couple of years ago) we had seven ST’s, this year only two and as grandson doesn’t want to go, I’m “billy no mates” going on my own! We’ve lived in Rodley for 20 years now and City are my only connection with my old town, but will be looking forward to going on Saturday and starting again in August! Excellent article.We too have drifted away from VP for many of the reasons stated by others. We find the ice hockey more entertaining, friendly, less intimidating area than City. Not sure my 10 and 11 year old boys will want to return to VP. A strong response next year might do the trick but I fear not. A good start to rebuild if some of Jasons suggestions are adopted.The comments regards Valley Parade and parking interest me.Having been issued with a “penalty” notice by “West Yorkshire Enforcement” for parking on a side street at the rear of the kop I completely ignored it.A cobbled street I still saw cars parked on at the Luton night game.Adopted or not adopted as a highway still (Mr Chris Slaven council guru no doubt in all matters parking around Valley Parade? ).These private firms are taking the Mick.The road is not blocked off.If passed into private ownership it should be blocked off.Absolute shambles as most of Bradford councils traffic management plan.Which appears non existent.After 2 years of regular attendance at BRI for cancer treatment of my elderly mother I have to say Bradford Council should be priortising there to alleviate the crass stupidity of the “locals”.Daisy Hill Lane ambulances and buses regularly having to back up with the gridlock.Cars even parked on both sides of this street with council wardens unable to ticket as there was ambiguity as to which of the sides cars were causing the obstruction.After the Luton game I had cause to drive up Duckworth Grove (off Duckworth Lane near BRI).Every house there (built before cars were even invented)must have about 5 cars.Not only are both sides fully parked on but I counted 6 that had left their cars double parked on the highway overnight.This is not 23 to 27 times in a year.Its each and every day 365 in a year.Complete shambles of priority yet again by this inept council.I recall reading the eminent former Pulse media man Chris Coopers tweet at the lovely message he had fixed to his windscreen.Where he had parked perfectly legally but was told it was others space now.Shocking attitude.Yes I think together with the long term lease problems moves may eventually be made ( one would hope council led ) to find a fit for purpose joint stadium somewhere where logistics make the experience less troublesome for all.Of course that would be with deep regret as Valley Parade means so much to all of us.We cannot turn back time and tide.The place is now gridlocked and a very unpleasant experience. This is only going to get worse.Sadly the poor take up of the ST offer may see crowds next year where traffic management becomes less important.The will and spirit has been decimated.I have my ticket stub for next year.Its going to be a very soulless experience if another 10000 are missing.Folk hoping for a 25000 ground elsewhere just now are deluded.Bulls are lucky if they achieve 3000 turning up.24000 saw them play Leeds at the height of their success 15 years ago.We could be heading the same way through Rahic.It could rake 10 years for both clubs to recover support and relative success.It all costs an awful lot of money and destroys those who are tryings health.The bigger the ground the bigger all the costs.From business rates to insurance and maintenance.We need Buzz Lightyear. “Reach for the fe….g sky”.We were on our way until a despot arrived and now seem to be falling into a black hole nightmare that Orient Chesterfield North Ferriby United have suffered.I cannot believe some of the characterless gutless signings made since all reins were taken from Stuart.Southern softies, fair weather performers.I”m surprised Rahic did not initiate a Male Grooming salon in the bowels of VP.The trash he signed would fit perfectly. Good article as usual and I agree with all you say apart from the Bowyer appointment which I think is an excellent one. A big help in the club reconnecting with the fans would be to get James Mason back – Julian Rhodes by his own admission has never been a great communicator. Mason has always been a good PR man and a good conduit between the fans and the club. As regards GB being given the job, really could anyone do anything with the current shower we have? Our shower made Blackpool look like world beaters but their passion, commitment and work ethic are what we hope/expect from any player lucky enough to pull on the claret & amber stripes. Mason copied the divisive ‘Believe’ campaign from HTFC. He’s good at some things but that was an obvious disaster. Insightful stuff as usual. I have never however considered stripes as an absolute given as a kit. Yes it has been the predominant kit design in recent history however there have been many combinations of C and A over the past 100 plus years which have been decent. That said last seasons was a dog of a kit! Whilst concious of the part VP has played in our history as a supporter ofnof 55 seasons and present onnMay 11th 1985, i have been advocating a move up the Aire Valley (between Bingley and Keighley) in a purpose built modern.stadium. As someone who visits family in Baildon before a match, then the worst bottleneck in the Bradford area is the Shipley/Sataire/Cottingley funnel. The idea of 15,000 or so fans trying to get through the area twice on a match day would be utter madness. The similar traffic arrangements around Keighley for those coming in that direction would also lead to increasing traffic jams. I do however like the idea of a purpose built stadium, but located within a mile and a half radius of the City centre. Quite frankly l do not want to move to a soulless industrial/commercial estate on the fringes of an urban conurbation. Looking at a number of the comments among the replies, which refer to matters such as parking, the stadium and the seemingly poor involvement of the political parties, then with the Local Elections taking place on 2nd May 2019, then doesn’t it make sense, for some of those who have made comments, to have ‘strong’ conversations with the candidates? If no one seems to be supportive towards City, then there is nothing to stop individuals from standing as Independent Candidates, if some councillors were concerned that a split vote might lose them their seat, then they may see City related matters in a more positive light. Argyle fan in peace! I went to watch Argyle play Bradford a few weeks ago at VP. There were queues to get in at the away end, because there was no-one at the away gates to process POTD away fans! This situation carried on for about 25 minutes, and they only started getting people through the turnstiles about 2 minutes before kick off. I’ve been sporadically going to football matches for 20 years and can’t remember seeing that happen before. I’ve been to VP a number of times before, always POTD, and never had a problem until this season. It does seem like the people currently in charge either don’t have a clue how to run the place, or aren’t particularly interested. Hope you guys can sort it out! All the points are well made and most city supporters would agree with them all. My main issue is we cannot continue to blame (Rahic) and for no blame to be attached to (Rupp) if he is the business man we are led to believe he is allowing what happened remains how good a business man is he. Let’s go back to the good times you mentioned and all this applause for (Rhodes) he was with another person for nine years at the helm also (lawn) together they made mistakes but learnt together and eventually employed a good manager and allowed him to bring in players who will forever be remembered at the club. Let’s hope the (Rupp & Rhodes) pairing with (bowyer) goes well but the costs all ready look difficult to handle the deficit ,players on high salary wages with many of them on contracts keeping them at the club for next season how many will fall on there blunt swords and leave. Anyway I have renewed my season ticket been a supporter now for fifty years seen chairmen come and go along with players and ideas and everything that goes with following the club.